Every Passover, we Jews sing a thousand-year-old song called “Dayenu,” which roughly translates to “It Would Have Been Enough.” It’s a song of appreciation for all the many gifts granted to us by God, and we sing that just one of such gifts alone would have been enough. Sorry Rabbi, but whenever I dine at Chi Spacca, I think of this song. 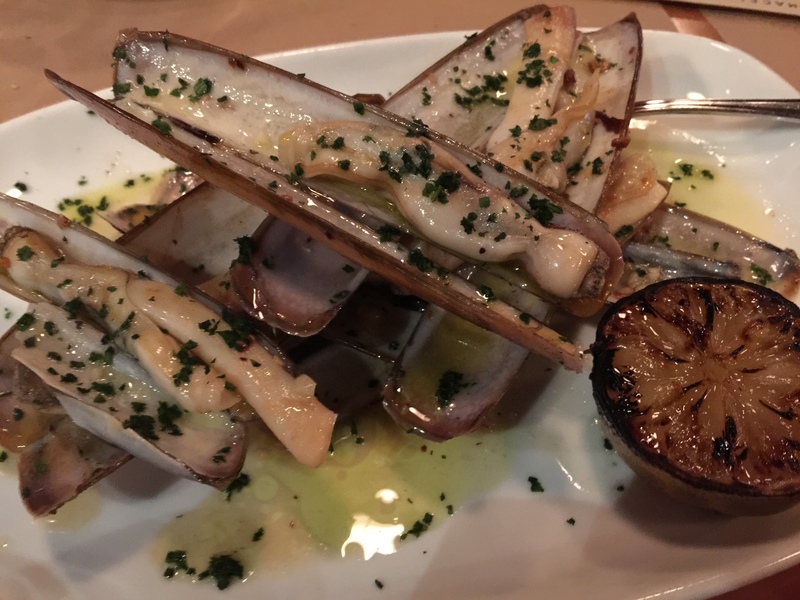 Chi Spacca is an upscale Italian steakhouse and their charcuterie plate (called Affettati Misti) is the best in town. 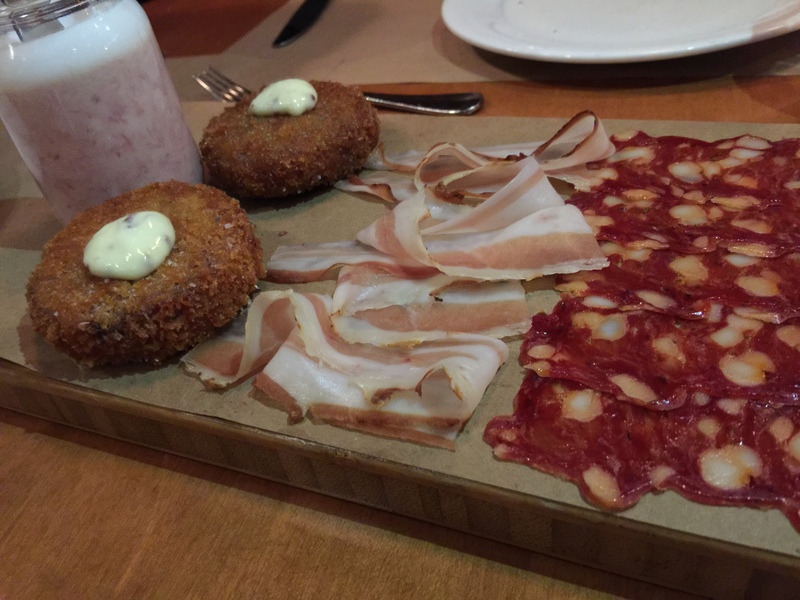 All the meats (often including coppa, salami, speck, pancetta and/or lardo) are cured in-house and served with butcher’s pâté and trotter fritti. I recommend dining at Chi Spacca for this salumi board alone. However, my love for the Affettati Misti is nothing compared to my obsessive passion for the Focaccia di Recco. 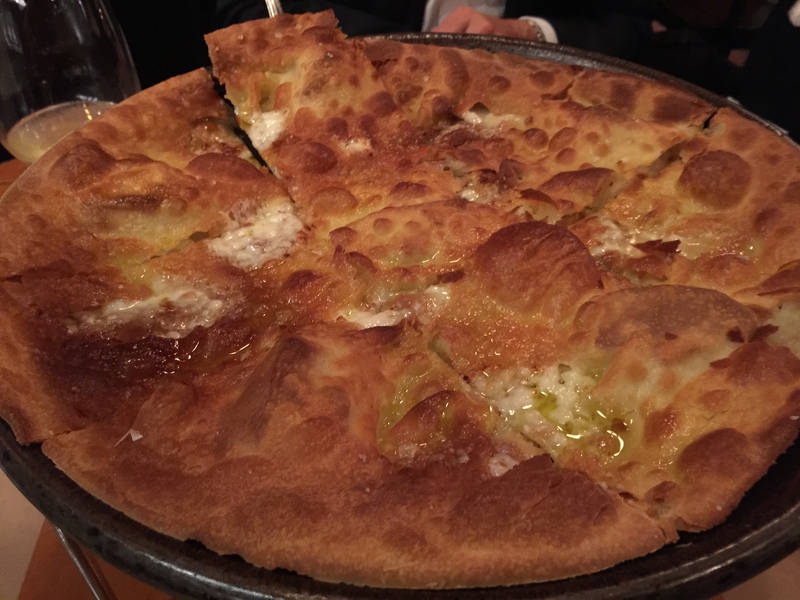 This cripy-edged flatbread is stuffed with salted and fermented mozzarella and baked and served in a special pan imported from Piedmont, Italy. It’s unbelievably amazing. But I’m just getting started here folks. 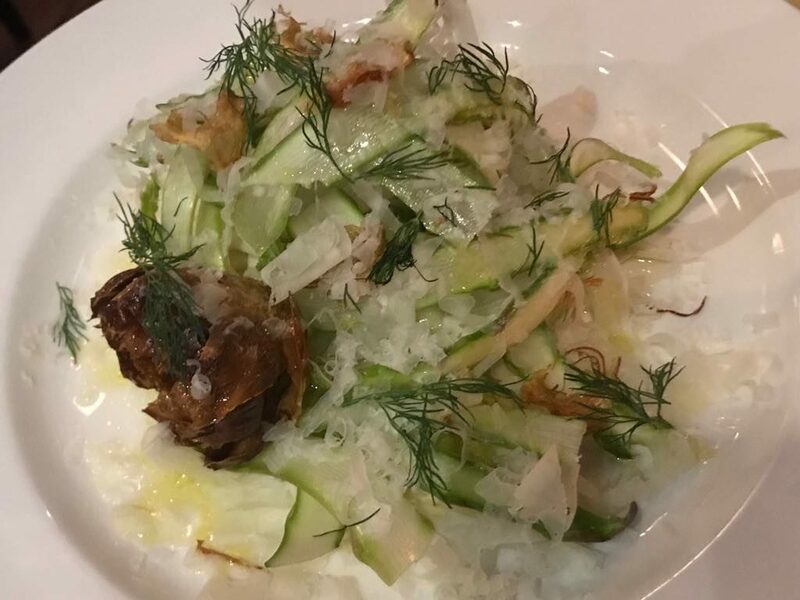 Chi Spacca serves a Beef and Bone Marrow Pie that is to die for. 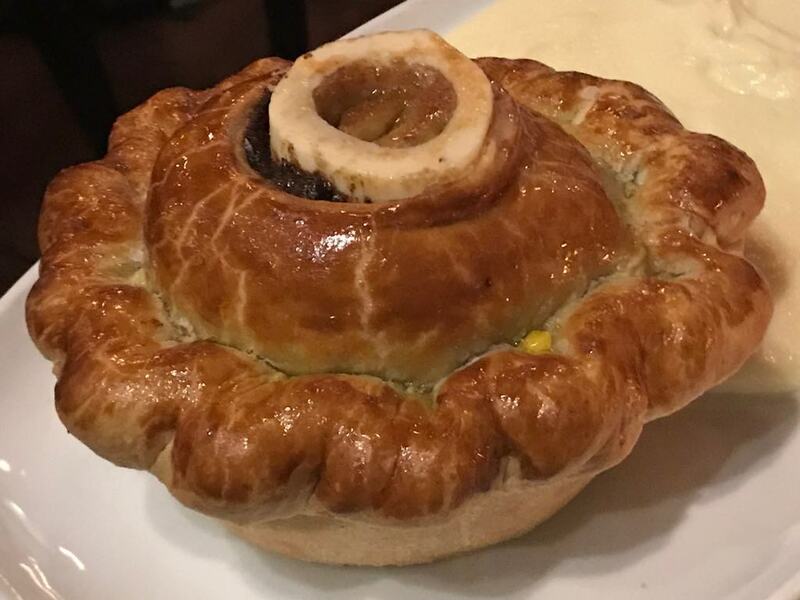 It’s a rich, golden-crusted beef pot pie with a baked marrow bone coming out of the top. 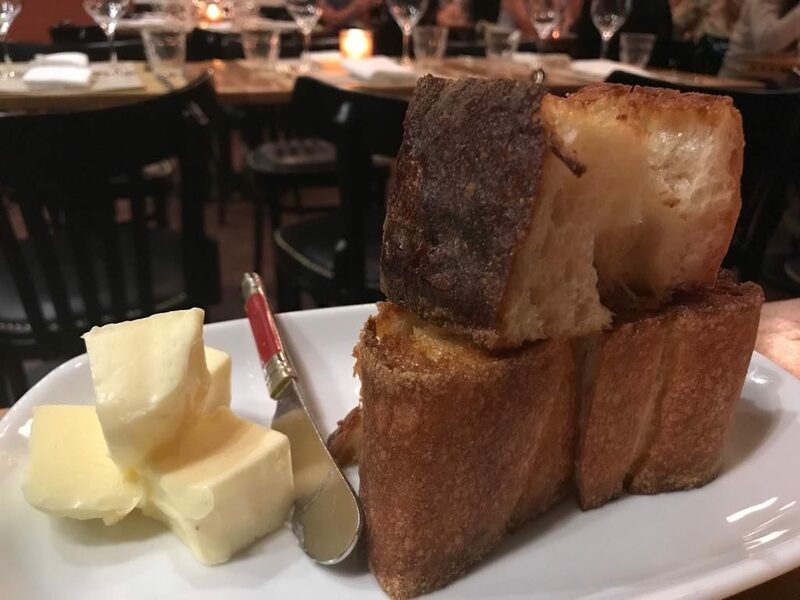 If you go to Chi Spacca and just have the charcuterie, focaccia and pot pie, it would be one your best meals ever. But you would be sorely missing out if you didn’t also get the Tomahawk Pork Chop. 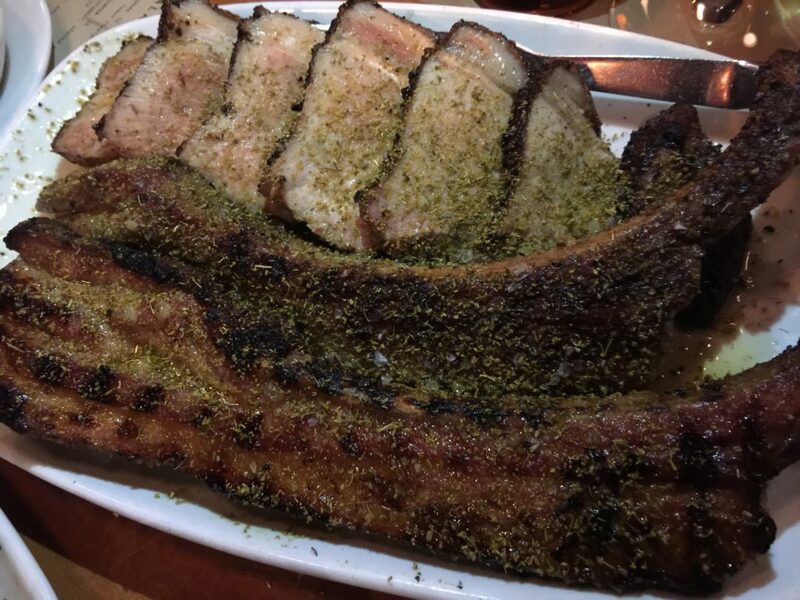 This giant chop is rubbed with fennel pollen and then grilled to perfection. It’s easily one of the best pieces of meat I have ever consumed. 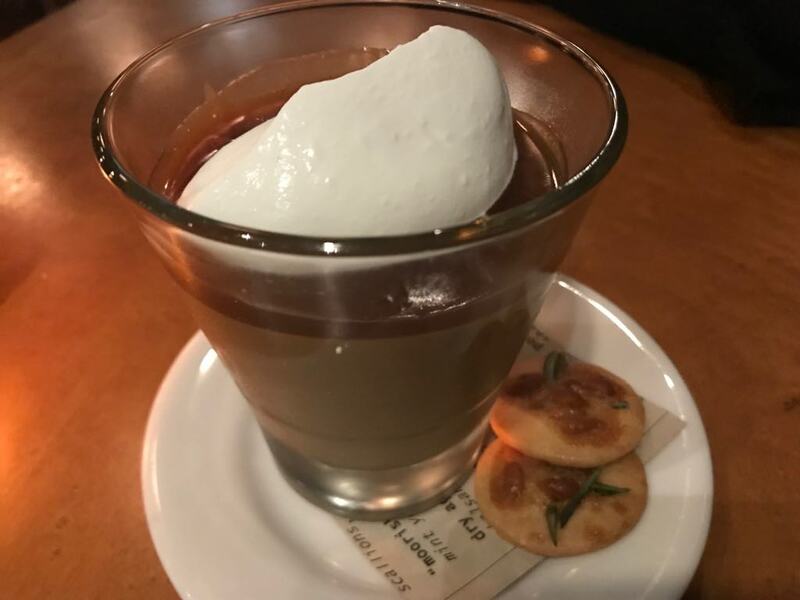 And even if you ordered none of the above, a trip to Chi Spacca would be well worth it if you just ordered the Butterscotch Budino with Sea Salt and Rosemary Pine Nut Cookies, a dessert which Chi SPACCA shares with its sister restaurants Osteria Mozza and Pizzeria Mozza. 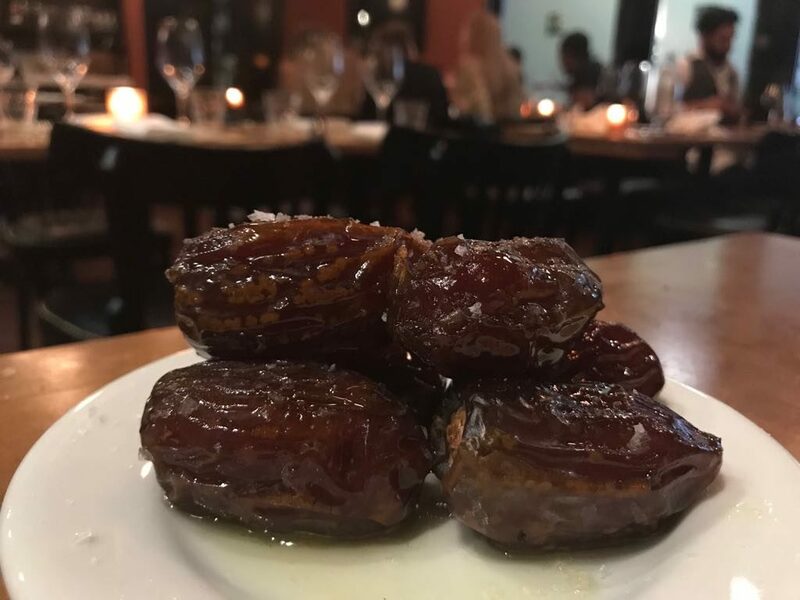 This pudding is one of my favorite desserts in the City. Thank you Chi Spacca. DAYENU! Chi Spacca is located at 6610 Melrose Ave, Los Angeles (on the border between Hollywood and Hancock Park). 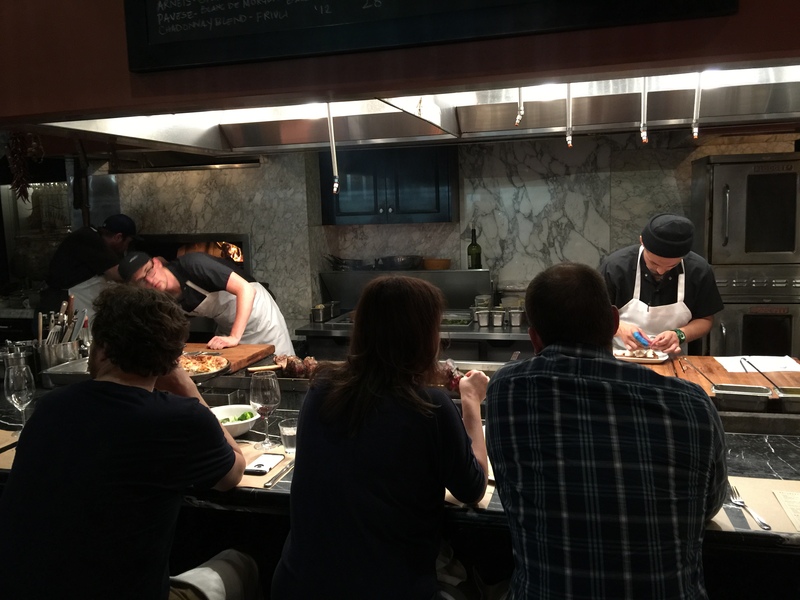 It’s an intimate restaurant with an open kitchen. You could not be more correct! Dayenu indeed.